Dr. Gerdes is expert at comprehending how the human eye really works, as well as diseases and conditions that impact your eyesight—many of which do not always have clear-cut symptoms. He knows how age and risk factors affect vision in the long run for all ages, and he discerns the benefits and characteristics of corrective lenses, both as contact lenses and eyeglass lenses. Dr. Gerdes is an OD who patiently clarifies the results of your eye exam, delineates your choices and hears your eye care thoughts. Since sustaining good eye well-being is an ongoing partnership, the entire staff at Eye Fashion Optical anticipates your asking questions and sharing your health information, which could be critical to tracking, diagnosing and addressing possible vision issues. Dr. Trey Gerdes OD, has over 30 years of experience in Optometry. He received his optometric degree, from Southern College of Optometry in Memphis, Tennessee. He is the third generation of Gerdes’ to practice in Waco since 1922. 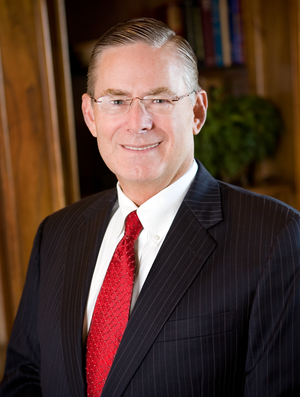 Dr. Gerdes is actively involved in his profession and has served on the boards of several optometric committees including President of the Southwest Contact Lens Society and President of the Heart of Texas Optometric Association. He has authored publications on visual field loss relating to tumors along the visual pathway and lectured on contact lens multi focal fitting and variety of similar topics. Dr. Gerdes has completed research projects for the FDA in night time wear of gas perm contact lens. Our practice is a complete eye care center for your entire family. We do thorough eye examinations with advanced equipment and will always greet you with a friendly smile. Other services include: contact lenses, eye glasses, safety glasses, sunglasses, sports glasses, emergency care, Lasik co-management, treatment for ocular disease including “red eye or pink eye” and removing foreign bodies from the eye. Dr. Gerdes specializes in the treatment and management of cataracts, glaucoma, diabetic retinopathy, dry eyes, and macular degeneration. You will experience a caring chair side manner from our knowledgeable staff. At our Waco, TX Eye Care Clinic we have over 1,000 frames and a wide array of lenses to choose from for anyone in the family – including the kids. We also offer all types of contact lenses – to fit your comfort. Dr. Gerdes and his wife have three children and have been lifetime supporters of Waco. He is an instrument-rated pilot and enjoys hunting, fishing, playing golf and gardening.